Aoife Duffy is an associate in the General Litigation group of Orrick's San Francisco office. Her practice focuses on the representation of major financial institutions, corporations, and individuals in securities and complex commercial actions, regulatory investigations, and internal investigations. 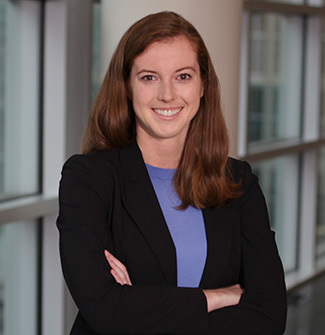 Aoife has also successfully represented a Bay Area biotech company in one of the first Defend Trade Secrets Act cases in the Northern District of California. Aoife is dedicated to providing pro bono services, including through the International Refugee Assistance Project. While a law student, Aoife served as Managing Editor of the Journal of International Law & Politics at New York University School of Law.